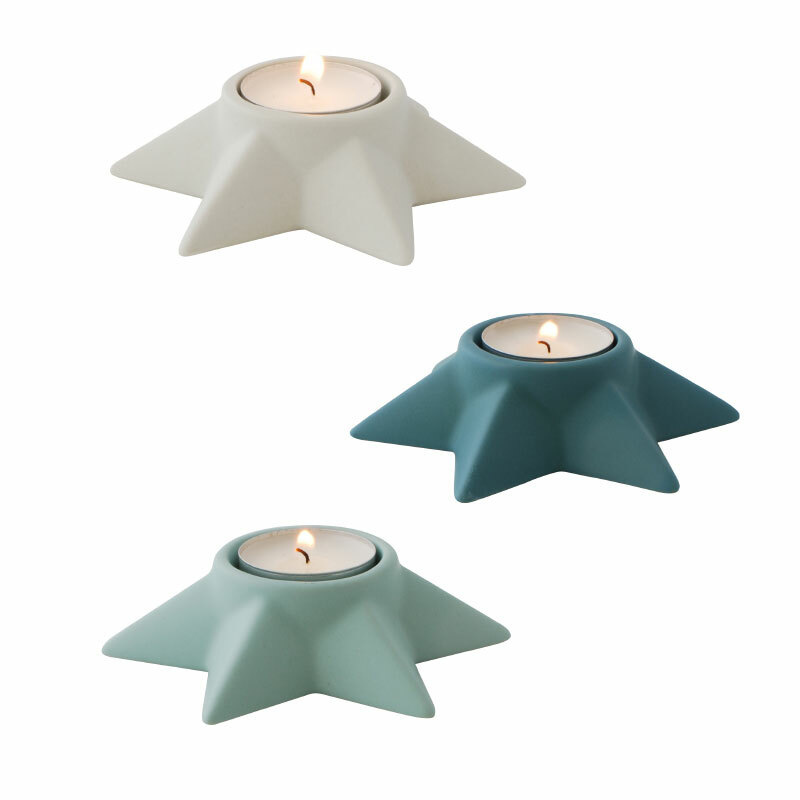 Great star shaped candlesticks in matching colors. They are made of porcelain with a matt surface, which gives them a rustique look. Set of 3 candle sticks. SKU: 2830. Category: OUTLET. Tag: candlesticks. Great star shaped candle sticks in matching colors. The candle sticks are made of porcelain and has a matt surface, which gives them a rustique look.